A House panel took members of Gov. Pat Quinn’s administration to task today over recent reports that the Illinois Department of Human Services did not follow up on allegations of abuse and neglect after the deaths of several developmentally disabled adults. The Belleville News-Democrat reported in June that the DHS inspector general, who is tasked with looking into reports of neglect, was not pursuing complaints after the alleged victims had died. The agency reportedly deemed those who had died “ineligible for service.” The paper found 53 deaths since 2003 that the department did not investigate or list in its annual report. In most cases, the individuals were brought into the hospital near death, and health care professionals raised the possibility of potential abuse or neglect, but the patient died before an investigation began. “We’re here today for a particularly sad reason because our state failed to detect abuse and neglect of adults with disabilities. We failed to adequately investigate complaints and failed to protect those who were abused and failed to help bring their abusers to justice,” said Rep. Greg Harris, chair of the House Human Services Committee. “Fifty-three deaths occurred, and there were none, no, absolutely zero felony convictions for that abuse and neglect. ... These men and women passed away and suffered in very horrible ways.” Harris described some of the conditions the disabled adults had faced as “living in filth” and “covered in bedsores.” He said that some had “become emaciated skeletons.” Some “might have been saved if the system had performed batter or even had responded at all to their appalling circumstances instead of parsing legal language,” Harris said. Since the report, Quinn has restructured the inspector general’s office and issued an executive order meant to address the problems. Former inspector general William Davis' resignation becomes effective on Aug. 1. Quinn named Daniel Dyslin as acting inspector general for DHS. Dyslin previously served as senior deputy general council at the department. Quinn also appointed Michael McCotter, who has a background in law enforcement, as a special investigator for the office. McCotter is tasked with looking into the cases that the department failed to investigate previously. Rep. Mary Flowers said DHS bears the responsibility for abuse cases slipping through the cracks. “The law is the law, and your agency failed to protect the people,” she said. “It is not about the police. It is about your agency failing to do what it’s supposed to do." Flowers, a Democrat from Chicago, argued that low staffing numbers set the office up for a fall. “This program was doomed for failure from the very beginning,” she said. Both Saddler and Gelder agreed that streamlining the process for reporting abuse — regardless if the victim is developmentally disabled, a child or elderly — might help make the system function more smoothly. They noted that many of the calls that come into the DHS hot line for reporting neglect or abuse of the developmentally disabled are not for cases covered by the department. They are instead cases that involve children or the elderly, or they are reports of suspected fraud in programs, such as Medicaid. “If we seriously consider combining these hot lines, we would be doing the public a great service so there wouldn’t be a wrong number,” Gelder said. According to Saddler, the DHS hot line received 1,438 calls in Fiscal Year 2011. Ann Spillane, chief of staff for Attorney General Lisa Madigan, suggested setting up training programs specific to investigating abuse and neglect allegations for local law enforcement units. “We want to make sure that local law enforcement feel like they’re supported in this effort.” She said local police should also be connected to experts in their area for assistance. Lawmakers argued that the intent of the law was clear, and they felt that the inspector general disregarded that intent, but they also said that it may be time to rewrite the statute in a way that leaves no room for confusion and considers the needs of the developmentally disabled and those who would utilize the system to report neglect and abuse cases. While some proposed sweeping changes, such as the merger of functions across agencies, others suggested smaller ideas, such as putting the abuse hot line number on the homepage of the DHS website. “We really need to look at the consumer as we design these systems,” Harris said. Gov. Pat Quinn has called the General Assembly back into session to address pension reform, but it seems that legislative leaders are no closer to reaching an agreement. Quinn announced today that lawmakers would be required to return to Springfield on Aug. 17. The Illinois House is already scheduled to be in session that day to vote on a recommendation from a disciplinary committee to eject Rep. Derrick Smith from its ranks. Smith is accused of taking a $7,000 bribe in exchange for helping a business seeking a state grant. Quinn called on lawmakers to pass pension reform legislation this year, but negotiations fell apart in the final days of the regular spring session. Democrats argued that downstate and suburban schools, state universities and community colleges should pick up more of the cost of their employees’ retirement benefits. Chicago schools already pay most of their employee retirement benefits. Democrats argue that because districts are setting the pay upon which benefits are based, they should not be able to pass the pension bill off to the state. But Republicans said that shifting the costs to local districts when state funding to schools is also being cut would lead to layoffs and local property tax increases. There are a few pension proposals out there that lawmakers could take up. Senate Bill 1673 would have shifted costs to schools, universities and community colleges. After it became clear that Republicans would not support that plan, Madigan turned control of the bill over to Cross, who added amendments to remove the cost shift. Also, the Senate passed House Bill 1447, which would reduce benefits for state employees and legislators only. The measure avoids the controversial topic of who would pay for school benefits. However, both bills have immediate effective dates so, they would require the approval of a three-fifths majority or amendments to change the effective dates. If the effective dates are changed, the earliest the legislation could become law is next June 1. It is unclear whether House Republicans could get behind a plan -- or whether Quinn would sign it -- that only covers state workers and legislators and does not address the pension systems for teachers and university employees. According to Quinn’s budget office, those systems would account for the bulk of pension costs for 2013. Multiple attempts to contact Quinn's office for comment were not returned. The announcement for the special session also mentions Quinn’s plan, which was never drafted into bill form. Meanwhile, Senate President John Cullerton is urging Quinn to call off the special session. He has volunteered to call back his members on August 17th in order to cut costs associated with a special session. “I share the governor's interest in resolving the lingering pension issues, but it makes no sense to spend thousands of taxpayer dollars when there is an easy, no-cost alternative,” Cullerton said in a prepared statement. He estimates that the cost of one day of special session would be about $40,000. If the Senate returns voluntarily, some travel costs would not be covered by taxpayers. While the number of children living in poverty in Illinois has increased in recent years, the state saw improvements in education and health care, according to a new study that seeks to measure the quality of life of children across the country. The 2012 KIDS COUNT Data Book from the Annie E. Casey Foundation looked at four categories: health, education, economic well-being and family and community factors. Overall, Illinois ranked 21st out of 50 states, which is an improvement over the state's 27th ranking in 2011. According to the study, Illinois generally followed national trends, which showed improvement in some areas of education and health while economic security and positive factors at home and in the community slipped. According to the study, the number of children living in poverty in America has increased from 12.2 million in 2000 to more than 15.7 million in 2010. “Unlike the domains of education and health, where children are benefiting from long-term progress overall, the economic well-being of children and families has plummeted because of the recession,” the report said. Of the more than 15.7 million kids living in poverty in 2010, 600,000 were in Illinois, and the state ranked 27th in the category for economic well-being. In 2010, 19 percent of Illinois children were living in poverty, this is an increase from 16 percent in 2005 but below the national average for 2010, which is 22 percent. Job security for families also appeared to be slipping in the state, with 32 percent of children living with parents who lacked job security. That has increased from 26 percent in 2005. Illinois ranked fourth among the states in health insurance coverage for children in 2010. Only 4 percent of children in the state went without coverage, compared with 8 percent nationally. However, that still meant that 140,000 Illinois children were without health insurance in 2010. Illinois ranked 14th in overall child health and has improved since 2005 in all health related areas measured by the study. According to the report, Illinois also made some gains in education. Fewer children missed out on preschool. Between 2005 and 2007, half of Illinois children at preschool age were not in school. Between 2008 and 2010, 48 percent of Illinois kids at preschool age, or 153,000, did not attend preschool. Nationally, 53 percent of children did not go to preschool over the same time period. However, Joseph said that if the study had looked at more recent data, which reflects cuts to state funded preschool, Illinois would have received a lower ranking. "Illinois had become a leader in early childhood education,” said Gaylord Gieseke, president of Voices for Illinois Children. “It’s unfortunate that progress has been eroding, especially since we know that children who receive support early have a greater chance of success in school, at work, and throughout their lives. Investing in kids makes sense from both social and fiscal perspectives." While some areas of education, such as reading and math proficiency, showed improvement in the report, the number of Illinois kids who do not graduate from high school on time is up by 10 percent from the 2005 to 2006 school year. 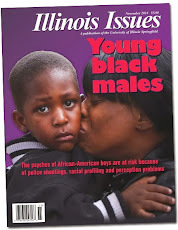 Illinois was ranked 28th on family and community factors. In 2010, 989,000 children were living in single-parent households, which is a 10 percent increase from 2005. The number of children living in areas that have high poverty rates was 304,000, an increase of 25 percent since 2000. “We know that children who grow up in concentrated poverty, regardless of their family's income, are more likely to experience harmful levels of stress, more likely to struggle in school, and less likely to achieve economic success as adults,” Gieseke said. A battle over the expansion of a landfill on Chicago’s southeast side may be put to rest after Gov. Pat Quinn signed a bill banning new landfills in Cook County. In 1984, the city of Chicago enacted a moratorium on creating new landfills or expanding existing ones. However, Land and Lakes Co. planned to annex a piece of the city into nearby Dolton, which does not have such a ban. The company planned to start dumping on the land to keep its site, called River Bend, from shutting down. River Bend is expected to reach capacity by 2014. But opponents of the expansion pushed for a countywide ban, which with the governor’s signature, is now in effect. “This is a community victory. This is an environmental and health victory. This is showing that democracy can work for everyday people,” Quinn said at a Chicago bill signing. Neighborhoods on the southeast side have dealt with high levels of pollution for decades. The area was home to several steel mills and industrial operations, and according to a 2001 city land use plan, about 835 acres of the southeast side are covered in landfills. Advocates point to the area as an example that minorities and those in low-income areas often bear a disproportionately high amount of the nation’s pollution. “This is victory. We can breathe. We can look at today and say that we can do environmental restoration in our community. No more landfills in Cook County. That’s a great thing,” said Cheryl Johnson, executive director of People for Community Recovery. “We have to begin to learn how to clean up what we messed up. And it’s going to take a process. But today we are establishing that baseline for equal environmental protection.” Johnson’s mother, Hazel Johnson, founded People for Community Recovery and is known as the mother of the environmental justice movement. However, Land and Lakes argues that the expansion could occur without harming the environmental progress that has been made in the area. The company says that under the ban, other environmental upgrades that would come along with the expansion would be lost. “Land and Lakes operates a landfill in Dolton, which is adjacent to our other landfill, which reached capacity and closed in 1995. Our vision is to connect the two facilities, bring the dormant facility up to current, stricter environmental standards, create open lands with habitat restoration, all while generating low-cost renewable energy and properly managing the waste disposal needs of the area. This is about as green a project as they come,” Mary Margaret Cowhey, chief executive officer of Land and Lakes, told a Senate committee in May. She added: “To place a blanket elimination on EPA permits in Cook County kills deserving projects. This bill is overkill based on fear. Land and Lakes did not respond to requests for a statement on the signing of the bill, but a statement released when the legislation passed said: “The bill guarantees that a closed landfill in Chicago will remain a brownfield for generations to come. The bill means there is no opportunity for Land and Lakes to add environmental upgrades and develop green amenities consistent with what south-side residents want over the long term.” The company argues that the ban would also hurt local economic development by eliminating local jobs and potential tax revenues. Quinn took the opportunity to tout the Millennium Reserve project, which has the goal of restoring 140,000 acres of land in the area and increasing recreation in the Lake Calumet region. The state has invested almost $18 million in the project so far. “This will basically be the largest conservation area in an urban environment in the whole United States, and we have work to do, obviously. This area for many, many years was dumped upon,” he said. For more on the environmental history of the southeast side and the battle over land fill expansion, see the current Illinois Issues. A disciplinary committee recommend today that Chicago Democratic Rep. Derrick Smith be booted from his seat in the Illinois House. Smith stands accused of accepting a bribe for providing helping a day care in seeking a state grant. Smith was the subject of a federal sting, and the day care was not actually applying for a grant. Smith faces a criminal trial, but first, he will likely face a vote to kick him out of the House. The committee voted unanimously to find Smith “at fault.” However, Rep. Al Riley was the only vote in opposition of expelling Smith from the House. Riley could not be reached for comment. “I felt, especially with an election coming up, the people of the district would be better served to make a determination on whether Derrick Smith was the person who should represent them in Springfield. My view was that the penalty should be harsh but something less than expulsion,” Riley told reporters in Chicago. But Skokie Democratic Rep. Lou Lang, who argued against Henderson before the committee, pointed out that the burden of proof in the process is not the same as in a criminal trial. Lang said lawmakers were not convicting Smith but simply deciding whether he is fit to serve. “We have a duty to the institution we were all elected to,” he said. Both Lang and Western Springs Republican Rep. Jim Durkin, who also argued the case against Smith, hit hard on the fact that Smith previously refused to answer questions under oath and did not appear at the hearing today. “He isn’t here today. I want you to look at that empty chair during the course of these proceedings and remember that,” Durkin said during his opening argument. After hearing the arguments, the committee deliberated for more than two hours. “There was, I think, a very vibrant discussion based upon the arguments presented by both sides,” said Mahomet Rep. Chapin Rose, the top Republican on the committee. The committee’s recommendation will now go before the full House. A two-thirds majority is required to expel Smith. “I suspect it will be sooner rather than later,” Steve Brown, spokesman for House Speaker Michael Madigan, said of the vote by the full House. Brown said the committee still has to draft a report on its recommendation, but he said he thinks the House will take a vote before the veto session, which is scheduled for November. UPDATE: Madigan has announced one day of session on August 17. The committee charged with deciding whether to recommend expelling Rep. Derrick Smith from the Illinois House could have a decision as early as this afternoon. Smith, a Chicago Democrat, is accused of accepting a $7,000 bribe to assist a day care center with getting a state grant from the Illinois Capitol Development Board. However, Smith was the target of a federal sting, and the day care was not actually seeking the grant. This morning, a House disciplinary committee heard arguments from Smith’s lawyer, Victor Henderson, and Skokie Democratic Rep. Lou Lang and Western Springs Republican Rep. Jim Durkin, who were tasked with making the case against Smith. However, several of the committee members indicated that testimony from Smith would be the most telling evidence in their eyes. “Isn’t the best evidence Mr. Smith being here saying: 'I didn’t do this. Ask me whatever question you want. I’m going to tell you the truth? '” Asked Rep. Sidney Mathias, a Buffalo Grove Republican. The committee members have gone into deliberation. If they recommend that Smith be expelled from his seat, their recommendation will go to the full House for a vote. A two-thirds majority must vote in favor of expelling Smith for him to lose his seat. Rep. Chicago Democratic Rep. Barbara Flynn Currie, chairwoman of the committee, said the group could return with its decision as early as this afternoon or tomorrow. Advocates say they were cut out of the process to determine nursing home staffing level requirements after the issue was pulled into negotiations over the Medicaid legislation. There was some debate over staffing requirements included in sweeping nursing home reform passed in 2010, and the Joint Committee on Administrative Rules (JCAR) took up the issue this spring. The reforms were spurred by investigations by the Chicago Tribune and The Chicago Reporter, which revealed neglect in the state’s nursing homes. The Tribune focused on the violent results when younger mentally ill patients were housed with older residents and adequate supervision was not supplied. The Reporter focused on the disparity of care between nursing home that served predominantly black and Hispanic residents compared with those that housed mostly white residents. When looking at both issues, lawmakers agreed that increasing staffing levels and more hands-on care would help to address some of the problems. So, requirements for how much direct care each patient must receive were increased under the 2010 legislation, but a disagreement broke out in the industry over who must provide such direct care — registered nurses or lesser-trained and generally less-expensive caregivers. It was left to JCAR to decide. The law requires that patients receive 3.8 hours of direct care each day by 2014. Patient advocates were pushing for 20 percent of that care to be provided by RNs. But many in the industry argued that such requirements would be too costly for some nursing homes, and licensed practical nurses or certified nursing assistants would not provide any lower quality of care. Negotiations stalled, and JCAR postponed voting on the issue. “We were going through what I thought we’re honest negations. Negotiating in good faith,” said Chicago Democratic Sen. Jacqueline Collins. She said the advocates were pushing for 20 percent of direct care to be provided by RNs, while the industry was pushing for 10 percent. She said if negotiations had continued, it was likely that the two groups might have met in the middle at 15 percent. However, they never got the chance to haggle it out because the decision was made at a different table, where the negotiations over Medicaid reforms were taking place. And the advocates were not invited to pull up a chair. “When it came time to actually move on rule-making process, the rug was pulled from under those advocates who had believed that, in fact, we could have addressed the issue though rule making,” Collins said. Senate Bill 2840, which Gov. Pat Quinn signed into law, sets the requirement that 10 percent of the direct care be provided by a registered nurse. Under the new law, 25 percent of direct care must be provided by licensed nurse. Comstock agreed that the changes in the bill could potentially be positive. But she said the most important factor in whether the transition to RUGs is successful would be funding levels. “It depends on whether the state is prepared to fund the care requirements that are established under RUGs.” Illinois currently has some of the lowest Medicaid reimbursement rates in the nations. "We’re providing the same care that folks do in other states for far less money," Comstock said. A new study on struggling state budgets found that the recent recession exposed and exacerbated unsound practices occurring nationwide and left many states struggling to find stability. States' spending has a significant effect on the economy as a whole. States spend a total $1.5 trillion annually. State and local governments cover 90 percent of education costs, and states spend an estimated $200 billion annually on health care for the poor each year. States are also important employers. They employ more than 19 million workers, which account for 15 percent of all workers in the nation. States employ six times as many people as the federal government. But employee headcounts are shrinking as states face post-recession budget realities. According to the report, states are facing budget shortfalls that total an estimated $55 billion. States responded to the crisis by dipping into reserves, if available, raising taxes and cutting, especially staff. According to the report, Illinois lost 23,300 state and local government jobs from June 2009 to May 2012. New York saw comparable numbers. But most states in the study experienced more public jobs cuts than Illinois and New York. California saw state and local employment dip by 125,800 over the same period. Only New Jersey lost less than Illinois, at 21,600. The report said that states targeted personnel costs for larger cuts after the 2008 financial crisis more than they did in other recent economic downturns. “This is a fundamental shift in the way governments have responded to recessions and appears to signal a willingness to “unbuild” state government in a way that has not been done before,” the report said. As Congress seeks to reduce the federal deficit in wake of the recession, the authors of the study also try to predict the potential impact of cuts to federal funding, which they say would most likely hit grants that go to states. “Even if Congress and the president do not cut the federal budget drastically this year or next, significant cuts are almost certain over the longer term. We may assume that areas such as defense, Social Security, Medicare, and net interest will not be cut as deeply as other programs. If this is the case, federal grants to state and local governments will be a primary target of federal budget cuts.” The study says a 10 percent cut to such grants would mean a $60 billion reduction in funds going to states. The study says such a cut would be “equivalent to more than doubling the corporate income tax, cutting police and fire spending almost in half, or eliminating all spending on libraries, parks and recreation.” Under such a reduction, Illinois would lose $2.3 billion. However, the study said that not all state budget problems can be blamed on the recession. Growing health care and retirement costs, coupled with budget gimmickry, had set many states, including Illinois, up for a fall. “The rapid growth in Medicaid spending has pushed aside other types of state spending. Medicaid recently surpassed K-12 education as the largest area of state spending when all funds, including federal funds, are considered; Medicaid appears likely to continue to claim a growing share of state resources,” the report said. All six states in the study have made efforts to slash Medicaid liabilities. Illinois is not the only state that has pushed off Medicaid bills from one fiscal year into the next. Texas intentionally underfunded its Medicaid program and now must make up a $4.8 billion shortfall by September 2013. It will come as no surprise to Illinois residents that pension and retiree health care costs are also included in the reports analysis of budget challenges. According to the study, California, Illinois and New Jersey account for more than half of the total unfunded liability for pension costs nationwide. All six states were guilty of using budget gimmicks or paying for ongoing costs with one-time-only revenues. California, New Jersey and New York joined Illinois in borrowing against tobacco settlement revenues, a budgeting trick called securitization. All six states have delayed payments to local governments, schools or vendors. All six have also used fund sweeps to balance their budgets. All the states but Texas have borrowed either to refinance other debt or cover annual costs, including pension payments. The report makes a number of recommendations, including that states make budgets more transparent and create multi-year projections that are more than just window dressing. The study also suggests that states make their pension funds more transparent by reporting on investment risks. The authors say that states should create automatic funding mechanisms to ensure that pension payments are made, as well as automatically deferring some money each year into rainy day funds. When Fiscal Year 2012 ended on the last day of June, Illinois continued to face billions in unpaid bills. And according to Comptroller Judy Barr Topinka, the recently passed budget may not cover some costs through the end of the current fiscal year. Topinka estimates that at the end of FY2012, the state had $7.5 billion to $8 billion in unpaid obligations, including bills, employee health care costs and unpaid corporate tax returns. That is an improvement over the same time last year, when the state had $8.5 billion in obligations it had not paid. The stack of bills at the comptroller’s office at the end of June to be paid out of the General Revenue Fund was $3.656 billion, down from $3.798 billion last year. In addition to unpaid General Revenue bills, this year Illinois owed $830 million in bills to be paid out of education funds. Topinka estimates that about $3.5 billion worth of unpaid bills, predominantly Medicaid costs, have yet to be sent to her office. She said the state also has to pay back about $100 million to funds outside the General Revenue Fund from which Gov. Pat Quinn and the General Assembly have agreed to borrow in recent budget plans. While the large backlog of unpaid liabilities shrank slightly, the state’s revenues increased last year. Topinka said that the FY 2012 revenues increased by $2.3 billion. She said much of the new revenue was spent on pension costs because the state used General Revenue Funds instead of borrowing to make its annual pension payment. According to the comptroller’s quarterly report, the recent income tax hike and increased consumer spending helped to increase revenues last fiscal year. General Fund spending increased in FY2012 by $2 billion from FY2011. Under the FY 2013 budget, such spending would decrease by more than $500 million. However, most of the savings are expected to be used to help address the backlog of Medicaid bills. According Quinn, a total of $1.3 billion in old bills will be paid off under the FY2013 budget “Positive steps were taken this year toward getting our financial house in order, but we clearly still have a long way to go to fully clean up this colossal mess,” Topinka said in a prepared statement. Topinka’s report contained little good news for those waiting on overdue payment from the state. “While Illinois has made gains by making its pension payments and addressing spending growth, there remains a long way to go. As a result, longstanding delays for providers of state services will continue into fiscal year 2013,” it says. A year ago today, Gov. Pat Quinn signed legislation meant to clear the way for construction of a plant on the southeast side of Chicago that would convert coal to natural gas. Now, the governor’s pen may yet again decide the future of the controversial project. Under the original plan, four utility companies would have covered construction costs and purchased gas from the plant, which would be owned by Leucadia National Corp. But Peoples Gas and North Shore Gas backed out of the project, leaving only Ameren and Nicor. The Illinois Commerce Commission (ICC) ruled this week that the two remaining companies would not be required to pay for all the costs but only cover a percentage equal to the amount of gas they are each required to buy. “The commission determined that in accordance with the law, Nicor and Ameren Illinois would each be responsible for 42 percent of the capital costs and operational expenses, for a total of 84 percent of the total, since they are required to take 84 percent of the substitute natural gas plant’s output,” said a written statement from the ICC. Construction is scheduled to start in 2015, and the plant would be built on the polluted site of the former LTV Steel plant. It is designed to trap most of its emissions underground instead of releasing them into the air. But according to Chicago Clean Energy, a subsidiary of Leucadia, the project is now in jeopardy. The group says the plant cannot be financed unless there is guarantee that all the construction costs are covered. Supporters of the project are calling on Gov. Pat Quinn to sign Senate Bill 3766, which would override the ICC’s ruling and require the two utilities to pay all the construction cost. “The Chicago Clean Energy project is the most significant economic investment that the southeast side has ever seen,” Ted Stalnos, president of the Calumet Area Industrial Commission, said during a recent rally in favor of the project. “Let’s clean up that site. Sign this bill. Let’s put people back to work.” Chicago Clean Energy plans to clean up the site before building the plant there. “The southeast side of Chicago is currently a jobs desert, an opportunity desert. We need this investment,” said Dan McMahon, business representative for Carpenters Union Local 272. The plant is expected to create an estimated 1,000 construction jobs and 200 permanent jobs after it is built. A spokeswoman for Quinn said the governor is reviewing the bill. Proponents say there are no guarantees that natural gas prices will stay low. They argue that having a consistent source of natural gas in the state for the next 30 years would help protect customers from volatility. “Prices fluctuate -- gas station prices, and so do natural gas prices, as well,” said Chicago Democratic Sen. Donne Trotter, who sponsored the legislation enabling the project. Trotter argues that the plant would bring desperately needed jobs to the area. Environmental groups say that the southeast side, which has a history of dangerous pollution, should not have to take an environmental risk to have economic development. (For more on the environmental history of the area, see the current Illinois Issues.) “They are looking for jobs,” said Becki Clayborn, a representative of the Illinois chapter of the Sierra Club’s Illinois Beyond Coal Campaign. “But because the community has seen it time and time again, they are not buying it.” Local environmental groups hope that the area can bolster its economy through renewable energy projects and by becoming a recreation destination. Changes to the state’s Medicaid program, which Gov. Pat Quinn recently signed into law, were heralded as historic reform and are expected to shave billions off of the state’s liability under the program. But the sweeping plan also attempts to resolve some longstanding disputes over health care policy in Illinois. This is part one in a two-part series that looks at those components of the new law. The reform package, which contained five separate bills, will make a number of changes. It will reduce some services offered through Medicaid, increase taxes on cigarettes and other tobacco products and give coverage to thousands of uninsured residents of Cook County. The plan also aims to resolve the longstanding issue of what hospitals must do to be considered charitable organizations eligible for local property tax exemptions. Under the new law, hospitals must provide charity care and other services that are equal to the tax liability that they would have incurred without the exemption. If they do not meet the threshold, they can make donations to other charitable health care providers. For-profit hospitals will also be able to earn tax credits for charitable care that they provide. In the past, hospitals have argued that there were no clear standards for what they must do to receive the exemption. A 2010 Illinois Supreme Court ruling found that Provena Covenant Medical Center in Champaign County did not qualify for the tax exemption. The court said the hospital was not offering truly charitable care but instead, it was writing off bad debt, much like a for-profit hospital would. The ruling went on to spell out parameters for measuring what is or isn’t charity care, but it did not set a specific threshold that hospitals must meet. Following the ruling, the Illinois Department of Revenue pulled exempt status from Northwestern Memorial Hospital's Prentice Women's Hospital in Chicago, Edward Hospital in Naperville and Decatur Memorial Hospital. The department said it used characteristics defined in the Provena decision to determine the later rulings. However, Democratic Supreme Court Justices Anne Burke and Charles Freeman disagreed with part of the ruling, saying the court does not have the power to set the standards for defining charity. “This can only cause confusion, speculation and uncertainty for everyone: institutions, taxing bodies and the courts. Because the [Illinois Supreme Court] imposes such a standard, without the authority to do so, I cannot agree with it,” Burke wrote in her dissent. After the Provena decision, lawmakers voiced concerns that such uncertainty would encourage cash-strapped municipalities to target nonprofit hospitals in search of revenue. “I have a concern now that we are going to see a rush of local governments trying to go after other health facilities. Thinking that this is a way to get some quick revenue from property taxes … the government may get a few extra dollars in property taxes, but then government is going to have to start providing all those services that those health care facilities used to provide,” Rockford Republican Sen. Dave Syverson, the minority spokesperson of the Senate Public Health Committee, said after the ruling. Quinn put a hold on any new rulings from the Department of Revenue and tried to work out a separate deal with hospitals. But the March 1, 2012, deadline he set for reaching an agreement came and went with no results. Instead, the solution came in May at the end of the spring legislative session, slipping somewhat under the radar as just one component of a proposal to reduce the state’s Medicaid liability by $2.7 billion. While the new law could mark the end of the debate, some say there are likely to be few changes in the way that hospitals operate as a result. “I’m not sure, to tell you the truth, that a whole lot will change,” said John Colombo, a tax law professor at the University of Illinois. “My sense is that this isn’t going to affect the behavior of hospitals in any major way.” Colombo, whose research primarily focuses on tax-exempt organizations, said the standard is set up in a way that hospitals will likely be able to meet it with what they are already doing. “Even those hospitals [that don’t reach the threshold] at the end of the day, all they have to do is total up what they were missing the mark by and then cut a check." Indeed, Fitch Rating agency praised the provision for creating a consistent standard. "Fitch believes the legislation provides long-overdue clarity as to what constitutes charity care and should not negatively affect the Illinois hospitals we rate,” said a written statement from the agency. "The Medicaid legislation was the result of hard work and negotiations between our administration, members of the General Assembly and various stakeholders. Bills on the same topic are frequently packaged by the legislature," said a written statement from Quinn's office. "It was decided that introducing a package of bills would help ensure that these important reforms reached the Governor’s desk. Decisions such as including charity care were made after discussions and work with all parties, including the Illinois Hospital Association. It is not unusual to have healthcare bills considered alongside one another." Madigan also supports the charity-care provisions in the new law. “Providing access to quality health care has been a consistent priority for Attorney General Madigan. We are pleased that Illinois will now have a standard by which hospitals must provide free health care for people who cannot afford it. Our office engaged in discussions throughout the spring session with our primary goal being to ensure that people and families in need can access health care when they need it the most,” said a prepared statement from her office. Overall, Colombo acknowledged that the standards for charity care and the threshold for the exemption are likely a “win” for the hospitals. But he said that not even the standards set in the Provena decision were necessarily here to stay. “There would have been more litigation. We wouldn’t have had this settled for years. ... It’s not a slam dunk that the Provena version of this would have survived another round of litigation." Colombo also said that there is a need to modernize thinking about hospitals and charity care. But he is looking a little further back in time. Gov. Pat Quinn signed a bill today eliminating legislative scholarships, as federal investigators appear to be pushing forward on a probe of the scandal-ridden program. “It’s a very good day for Illinois. It’s a very good day for reform. It’s a good day for the taxpayers of our state. It’s a good day for education and for students who work hard and do their very best in order to try and get a scholarship that they deserve,” Quinn said at a bill signing event in Chicago today. The program, which lets all members of the General Assembly hand out tuition waivers for state universities to students in their districts, has been under fire for years. Reports have surfaced of lawmakers giving the waivers to children of the politically connected or to students living outside of their districts. “I can understand if it happens once, might be a mistake. Twice? May be a mistake. But we are beginning to see a pattern, a trend, and that’s a problem,” said Rep. Fred Crespo, a sponsor of House Bill 3810. Because of allegations of corruption in the program, many lawmakers have opted not to give out the scholarships. Others call on independent panels to award them. Lawmakers will no longer be able to hand out the waivers starting September 1. Students who have already been chosen to get the waivers for the upcoming school year will still receive them. The newest development in the ongoing story of potential abuses of the program came yesterday when the Chicago Sun-Times reported that then-U.S. Attorney Patrick Fitzgerald’s office issued a subpoena in June to Sen. Annazette Collins for records related to her awarding of scholarships over her more than a decade-long stint in the General Assembly. The Sun-Times reported in March that Collins had awarded scholarships to students who used her home as their place of residence for the applications, while other documentation showed their residences as being outside of Collins’ district. Collins has denied any wrongdoing through her lawyer. Collins lost her primary election bid last February. “Everyone has to follow the rules. So if there have been any rules that have been broken, they have to pay the consequences,” Quinn said today when asked about Collins. Prosecutors have also sought information about the scholarship program from the State Board of Education. However, supporters of the program say it is an equitable and inexpensive way to make sure that financial assistance is spread throughout the state. “This is not a significant cost to the universities,” said Rep. Jim Sacia, who has local superintendents choose the students who receive waivers in his district. “What a shame that some of our colleagues have abused this system. This is one of the finest opportunities for young people out there. It gives kids the opportunity to go [to college] who don’t have the financial wherewithal,” Sacia, a Pecatonica Republican, said when the House voted to end the program. The new law also calls for a task force to scrutinize all waivers handed out by universities, which totaled $414 million last year. Such waivers are handed out for a variety of reasons, such as to graduate students who work in exchange for some or all of their tuition costs. Critics say that such waivers are handed out with little oversight and come at the expense of paying students. Those opposed to eliminating legislative waivers said the program should have gone through the same vetting under the task force as other waivers will face. “It’s almost [putting] the cart before the horse that we have this commission to take a look at scholarship waivers and at the same time abolish this program. Why not wait until we get findings that will determine the legitimacy of this program?” said Maywood Democratic Sen. Kimberly Lightford. Lawmakers and unions officials are asking Gov. Pat Quinn to but the brakes on prison closures after reports of recent assaults have surfaced. The Associated Press reported that a corrections officer was stabbed at the Stateville Correctional Center and another guard was stabbed at the Pontiac Correctional Center in the last six weeks. The AP also reported that more than a dozen weapons have been found during recent searches of inmates cells, and that two prisoners were found unresponsive in the cell they shared. Officials from the American Federation of State County and Municipal Employees Council 31, which represents prison guards, said that the two had overdosed on heroin. A spokeswoman for the Illinois Department of Corrections said she could not comment on the incident because it is part of an ongoing investigation. According to the IDOC, both inmates survived. Legislators and union leaders say the reports bolster their arguments against closing some of the state’s corrections facilities. Quinn also cut $8.9 million for a youth prison in Joliet and $6.6 million for a youth prison in Murphysboro. The facility in Joliet is slated for closure on November 30, and the Murphysboro facility is scheduled for closure on August 31. However, opponents today called for the governor to halt the closures until lawmakers return for their fall veto session scheduled for November. They said the legislature should have a chance to vote to override the governor’s vetoes before the facilities are shuttered. “They should be halted. The governor should halt them, and he should wait for the General Assembly. ... The General Assembly worked very hard on this budget. They did allocate money to keep these facilities open,” said Henry Bayer, executive director of AFSCME Council 31. Republicans said Quinn should not have vetoed the money for prisons and then urged for spending elsewhere, such as the Department of Child and Family Services. Quinn also plans to close mental health centers and centers for the developmentally disabled as part of an effort to save money and move away from institutional care. Frank Mautino, a budget point man for the House Democrats, said that the budget bills would not have had the support to clear appropriations committees and reach a floor vote in the House if they had not contained funding for the state facilities targeted for closure. “Facility closures were the linchpin of the budget. ... Amongst the committee negotiations is where it became the linchpin,” he said. Less than two years after the state’s first caps on campaign contributions went into effect, Gov. Pat Quinn signed a bill today that would eliminate those limits if outside groups funnel cash into campaigns. Senate Bill 3722 would allow candidates in Illinois to ignore contribution limits when outside groups, called political action committees (PACs), spend money in a race. The bill is a response to a recent U.S. Supreme Court ruling that allows PACs to take in unlimited contributions as long as their efforts are not coordinated with candidates’ campaigns. Before the ruling, PACs could accept up to $10,000 from individual donors and $20,000 from unions and corporations. Under SB 3722, is such a PAC spends more than $100,000 campaigning for a single candidate in a municipal race or a bid for the state legislature, then candidates in that race would not have to stick to limits on how much money they can accept from donors. In a statewide race, the threshold would be $250,000 spent by an outside group. Rep. Barbara Flynn Currie, a sponsor of the bill, said the new law is intended to keep outside groups from deciding elections by opening potentially bottomless wallets. “I think what’s important about this bill is that no legislator is going to have to run in an election — in which somebody comes into the election with big bucks — with one hand tied behind her back,” she said. Quinn, who helped lead the push for campaign finance reform after his predecessor, former Gov. Rod Blagojevich, was impeached and removed from office, said the new law is a temporary fix. “Bottom line: The rules changed, and this is a short-term solution that will help ensure fairness. This law is necessary to keep the playing field as level as possible,” said Annie Thompson, a spokesperson for Quinn. Thompson said the governor is waiting for recommendation from a campaign finance reform task force. The group is scheduled to submit its report in February 2013. “This isn’t by any means the final step. There’s still more work to be done,” Thompson said. Morrison said that during an especially busy legislative session, lawmakers pushed aside more nuanced suggestions that would not have involved tossing out contribution caps. “They were too busy with the budget, too busy with pensions.” He said supporters of SB 3722 agreed to revisit the issue after the task force makes recommendations. “We’re going to have to hold them to their word," he said. SB 3722 goes into effect immediately. Illinois business and environmental groups today panned a coal gasification project slated for construction in Chicago. They argue that the plant, which would turn coal and other carbon fuels into natural gas and trap emissions underground, would result in rate increases for customer statewide. In July 2011, Gov. Pat Quinn approved a plan to build the plant on a polluted brownfield site on the southeast side of Chicago. Construction on the plant, which would be owned by Leucadia National Corp., is scheduled to begin in 2015. But after Peoples Gas and North Shore Gas bowed out of the project, the two remaining utilities, Ameren and Nicor Gas, argued that they were being stuck with too large of a share of the cost of construction. Both utilities would be required to buy gas from the plant, but they do not want to cover the construction expenses that the two utilities that left the project would have paid. Business groups say that if they project is completed, customers of both utilities would pay the price. “If this project goes forward, the residents of Illinois, particularly in the Nicor and Ameren territories, are going to have to pay for natural gas at considerably higher prices,” said Mark Biel, executive director of the Chemical Industry Council of Illinois. The Illinois Commerce Commission sided with Ameren and Nicor and rejected contracts that would have locked the utilities into a 30-year deal with the Leucadia plant. However, the commission agreed to reconsider the issue and is expected to give another ruling by July 11. “We have to make sure that everyone pays their fair share. And what happened is, this plant is now being put on suburban and downstate customers. That’s who’s paying for the plant, and we have a real problem with that,” said Brian McDaniel — senior policy analyst and government liaison for the Citizens Utility Board, a consumer advocacy group founded by Quinn. “There’s fundamental questions about equity and fairness that are on the table here and need to be answered,” he said. But supporters of the project say that the commission has overstepped its regulatory authority. “They’re trying to rewrite legislation,” said Sen. Donne Trotter, sponsor of the legislation that created the project. Trotter also sponsored Senate Bill 3766, which would force the ICC to approve the contracts. A spokesperson for Quinn said he is reviewing SB 3766. Trotter said that gas may be cheap now, but prices will likely change in the future. He and other backers argue that source of gas in the state could protect Illinois consumers from future changes in price. “Prices always fluctuate,” he said. Trotter said the law includes customer protections against drastic rate increases. Leucadia is required to put millions into a consumer protection reserve fund. “If prices rise over 2 percent, it will be capped there and all the other costs will be picked up through this fund,” Trotter said. He said environmental groups are trying to block the project because they are fundamentally opposed to any energy plant that uses coal. He said that the technology has been proven in other states. “Leucadia certainly doesn’t say that it is a perfect source of energy, but it certainly is something that has been proven to be a safe source of energy.” He said the project would be beneficial to the community, which has historically suffered high levels of pollution. To build the plant, the company would first clean up the contaminated site. The plant must also capture 85 percent of its carbon emissions or face fines. “The clean up alone is a great feather in the cap of the community,” said Hoyt Hudson, project manager for the Leucadia plant. Trotter said he understands why residents in the area are wary of the project. “Part of the problem is that in the past, there have been so many promises and none of them kept.” But he said once they see the investments that will be made in the area as part of the project, he thinks minds will be changed.